WordPress has been around for 15 years. 31.5% of sites use it, and that figure continues to climb. We’re here for the long term, so we need to plan for the long term. 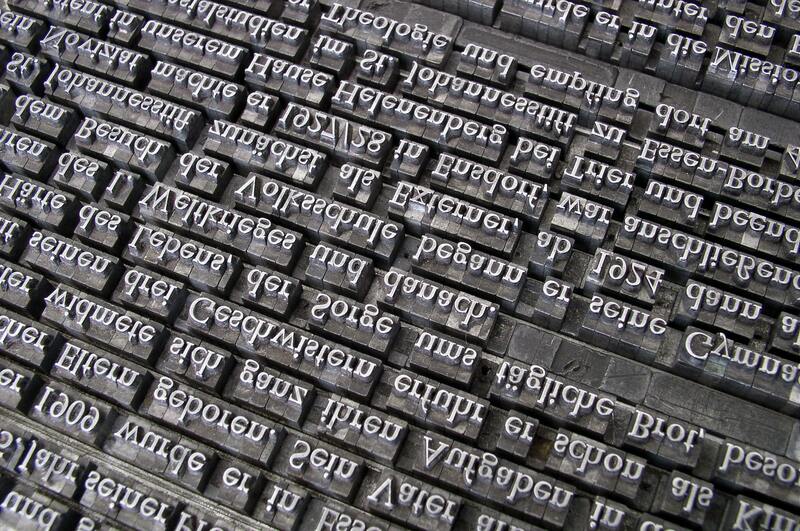 Gutenberg is being built as the base for the next 15 years of WordPress. The first phase, replacing the post editing screen with the new block editor, is getting close to completion. That’s not to say the block editor will stop iterating and improving with WordPress 5.0, rather, this is where we feel confident that we’ve created a foundation that we can build everything else upon. As the WordPress community, we have an extraordinary opportunity to shape the future of web development. By drawing on the past experiences of WordPress, the boundless variety and creativity found in the WordPress ecosystem, and modern practices that we can adopt from many different places in the wider software world, we can create a future defined by its simplicity, its user friendliness, and its diversity. If we’re looking to create this future, what are the key ingredients? Interface unity. Today, the two primary methods of embedding structured data into a WordPress post are through shortcodes, and meta boxes. Both of these have advantages, and drawbacks. With shortcodes, authors can see exactly where the shortcode will be rendered, in relation to the rest of the content. With meta boxes, the site creator can ensure the author enters data correctly, and doesn’t get it out of order. Additionally, meta boxes allow storing data outside of post_content, making it easily queryable. With blocks, we can combine these strengths: blocks render where they’ll be in the finally content, they can be configured to only allow certain data to be entered, and to save that data wherever you want it. With block templates, you can lock the post to only allow certain blocks, or to even layout the blocks exactly as they need to be, ensuring the post is saved and rendered exactly as intended. Concept simplification. Even vanilla WordPress has masses of similar-but-subtly-different concepts to learn. Within the post, there are shortcodes, meta boxes, and embeds. Outside of that, we have menus and widgets (and widget areas, of course). The first phase of Gutenberg is focussed on the post, but ultimately, we can imagine a world where the entire site creation process is just blocks. Blocks that can fit together, that can be easily rearranged, and can each take care of important individual things, like their own responsive behaviour. A common base. Gutenberg isn’t going to replace page builders, or custom field plugins like ACF. Instead, it give them a common framework to build themselves upon. Instead of every page builder having to spend a huge amount of time maintaining their own framework, they can use the one that Gutenberg provides, and focus on providing the advanced functionality that their customers rely on. A design language. I don’t know about y’all, but as a developer, I find it challenging to create quality interfaces in the WordPress of today. I’d really love if there was a simple library for me to refer to whenever I wanted to create something. Desktop and mobile environments have had this for decades, but the web is only just starting to catch on. The WordPress design team have some really interesting ideas on this that’ll help both core and plugin developers to put together high quality interfaces, quickly. There are side benefits that come along for the ride, too. Encouraging client-side rendering gives a smoother UX. Using modern JS practices encourages a new generation of folks to start contributing to WordPress, helping ensure WordPress’ long term viability. Because it’s Open Source, anyone can use and adapt it. This benefits the Open Source world, and it also benefits you: you should never feel locked into using WordPress. Naturally, there’s going to be a transition period. WordPress 5.0 is just the start, it’s going to take some time for everyone to adjust to this brave new world, there will be bugs to fix, kinks to iron out, flows to smooth. The tools that plugin and theme developers need are starting to appear, but there’s still a lot of work to be done. There’s a long tail of plugins that may never be updated to support Gutenberg, the folks using them need an upgrade route. If you feel that your site or business isn’t quite ready to start this transition, please install the Classic Editor plugin now. Gutenberg is very much a long term project, I’m certainly not expecting everyone to jump on board overnight. Much like it took years for the customiser to get to the level of adoption it has now; every site, plugin, and agency will need to consider how they’re going to make the transition, and what kind of timeline they’re comfortable with. Ultimately, the WordPress experience, community, and ecosystem will grow stronger through this evolution. I’ve been been working on WordPress for years, and I plan on doing it for many years to come. I want to help everyone make it through this transition smoothly, so we can keep building our free and open internet, together. Thanks Gary – very timely and informative post. Headsup, site voids GDPR, sends user IP to various external servers, nowhere explained, required for e.g. EU, please add required information or block EU as other sites do. Thanks. Sounds good in theory, but in reality the blanket is pulled in a very obvious direction. It’s easy to speak of “great community benefits” if you choose to ignore certain decisions that (arguably) go against the community’s very vocal feedback. Making it opt-out instead of opt-in is very, very wrong. Period. Gary, content created by blocks is easily queryable, too? When you’re writing blocks, you can store the block data in post meta, so it can be queried just as it would be if it were entered into a meta box. How about addressing the “elephant in the corner of the room”? The reputation that WordPress has as a honeypot and easy target for exploits? What’s being done to address this? I’m not sure that WordPress has a reputation as a 🍯 for Hackers. With almost 1/3rd of the web being WordPress it has a huge attack surface – that is why it’s a target. We host 150 + client WordPress sites on Apache servers and have not had a breach in 4 + years. Top Hackers are always looking for the next zero day vulnerability – but almost always in the theme or installed plugins. The vast majority of hack attempts we see are known vulnerabilities in old versions of Plugins, Themes and WordPress itself. The latest version of WordPress is very secure With a large community of security savy developers contributing to that. As long as you are keeping WP , Plugins and Themes up to date – using the fabulous WordFence plugin you won’t be worried about WP’s security. Then of course there is the server security – again keeping the server and software up to date is critical – use a good firewall ( imunify360) and we find that the vast majority of Hackers quickly move on to find a much easier target. Thanks Gary. We are now implementing Gutenberg on our own site using the Atomic Blocks theme. Learning curve has kicked in heading down the Gutenpath! Thanks for the thorough explanation. In the next version of our flagship plugin we are using Gutenberg to allow users to design every aspect of the plugin templates too. Not hard to imagine that world when themes and page builders have been doing it for many years!! Imaging a world that already exists? Why? Never did like the WP post editor, but Gutenberg is still so far off being ready to replace it. Not impressed that WP are forcing it upon users. If it’s so good, users will want to choose to **opt-in** and wouldn’t need to be forced to use it by default. If WP were smart, they’d include an easy way to switch between editors within the editor. That’s how they’ll get uptake without backlash. 30 years ago I was working for the local police department when we introduced computers into police stations. Instead of pulling out all the typewriters and replacing them with computers, we made using the computers optional. Over time, those who continued with typewriters noticed the advantages their PC using peers were getting so then they dabbled, and tinkered, and before long, made the switch too. Having both options available all the time was critical to a smooth uptake and acceptance. There was very little backlash. But imagine if we had’ve put the typewriters in a cupboard out the back? Made them hard to access. Like making the Classic Editor a plugin you’ve got to go hunting for. Run the two side by side, making switching back and forth easy, and the transition will go a lot smoother with little backlash.